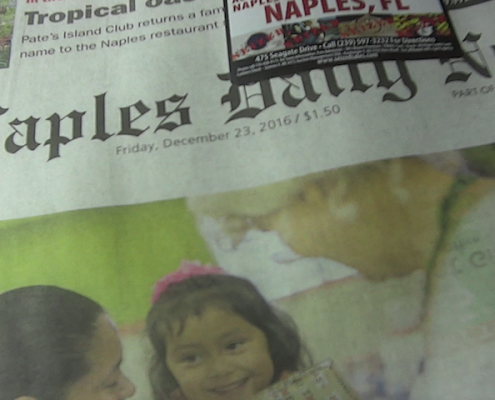 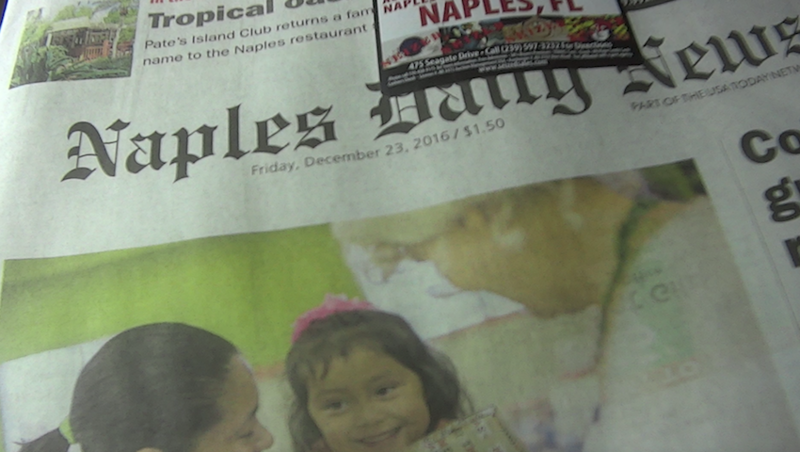 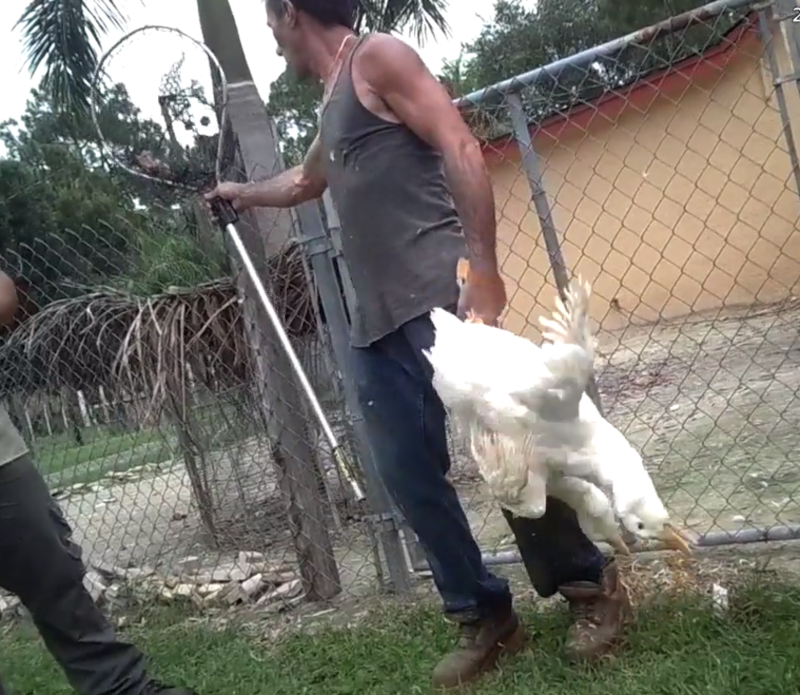 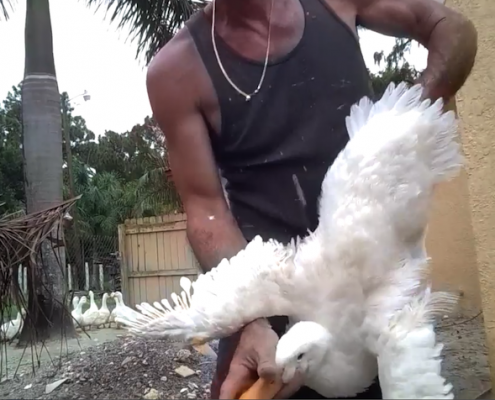 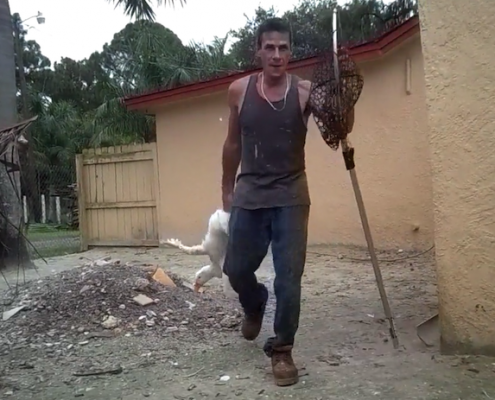 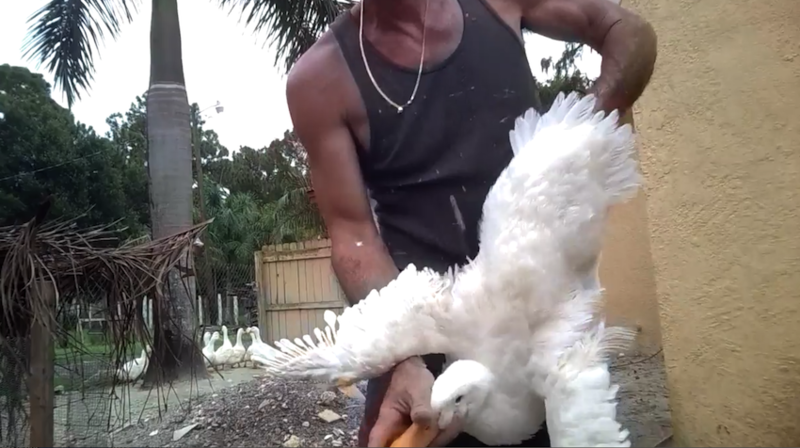 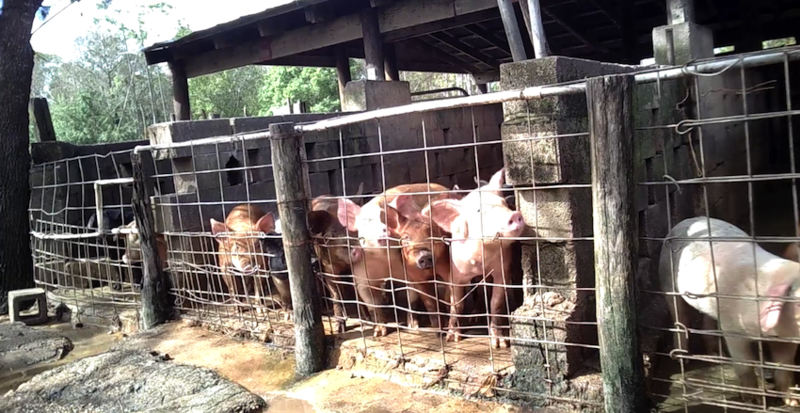 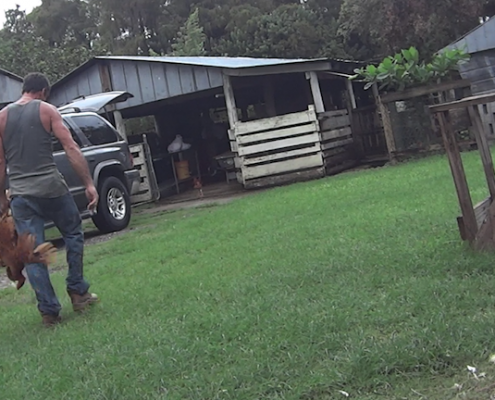 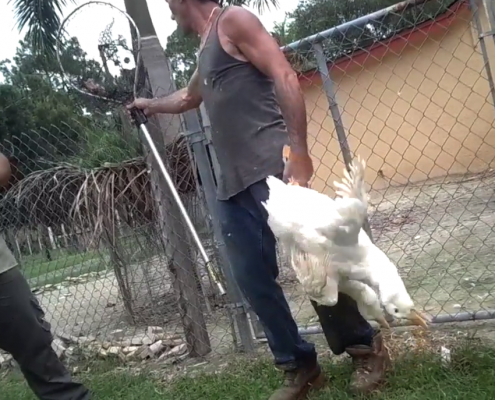 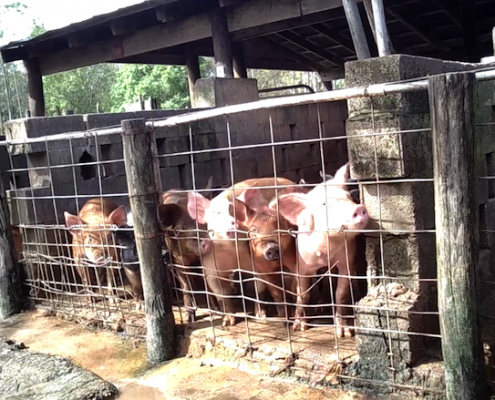 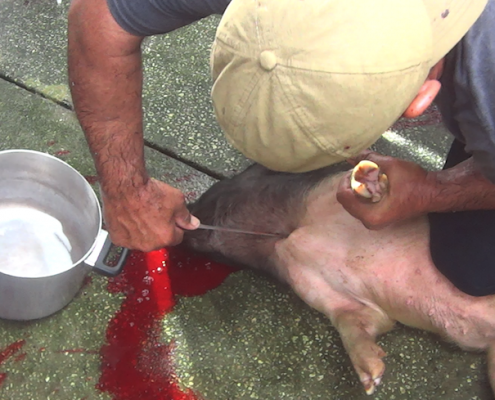 In July of 2015, ARM received an anonymous tip of a property in Fort Myers who was slaughtering animals and selling the meat publicly, for human consumption. 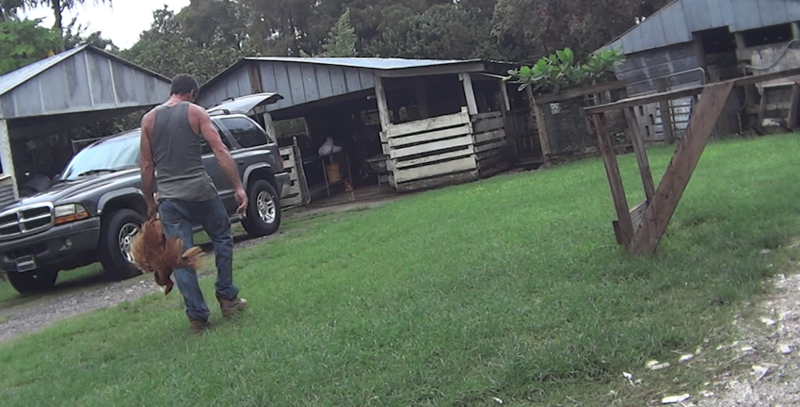 Upon the initial surveillance of the property, ARM quickly confirmed these suspicions and initiated an immediate investigation. 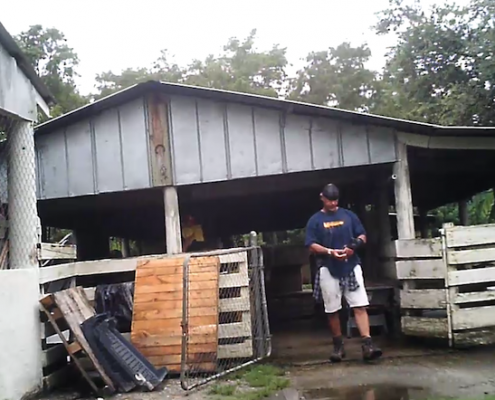 The discovery of Rancho Santa Barbara also spurred three other investigations in the same area and has collectively engaged in a two years investigation in Lee County, Florida. 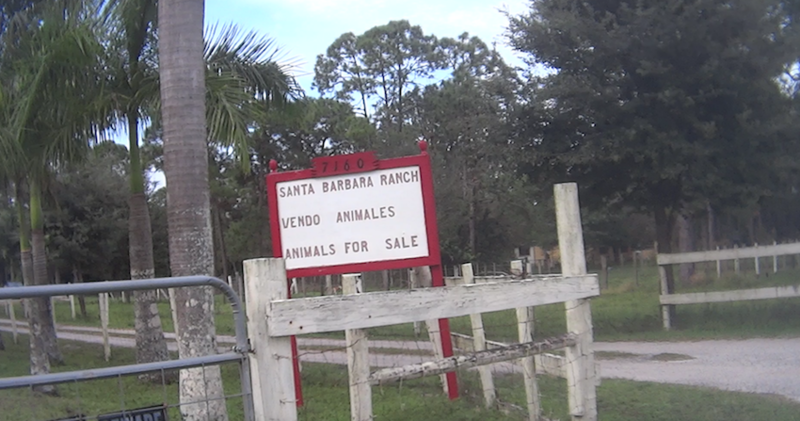 Located at 7160 Eastwood Acres Rd, Fort Myers, Florida, visible Spanish signs at the entrance to the property, advertise the sale of live animals. 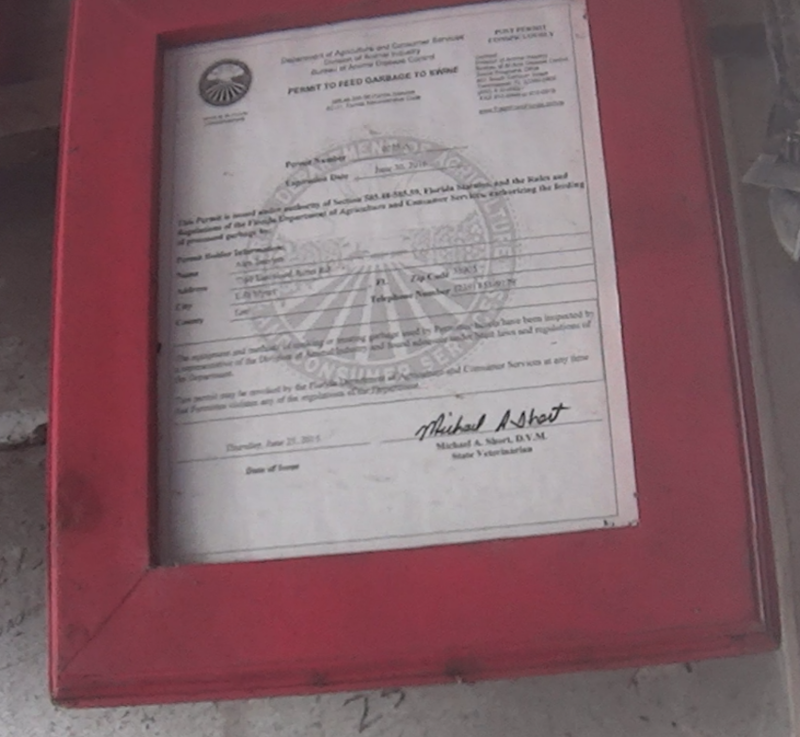 Owned and operated by Alex (alias known as Guillermo) and Carmen Intern, Rancho Santa Barbara is listed on Sunbiz as an incorporated business although it is classified as a poultry and egg farm. 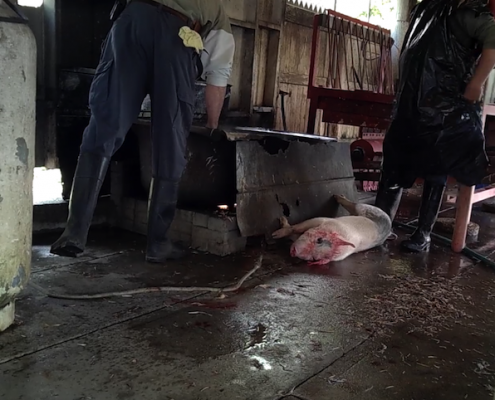 However, Rancho Santa Barbara has a constant supply of farm animals such as pigs, sheep, goats, cows, ducks, chickens, cats, dogs and rabbits and is operating as an unlicensed slaughter farm. 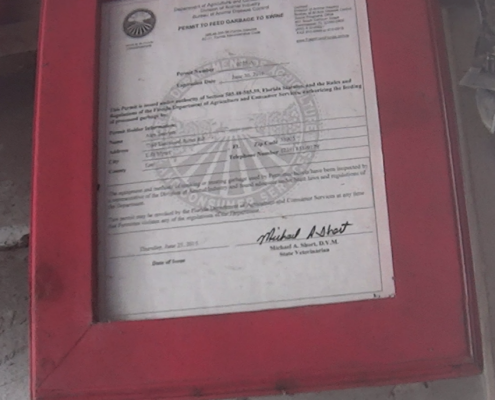 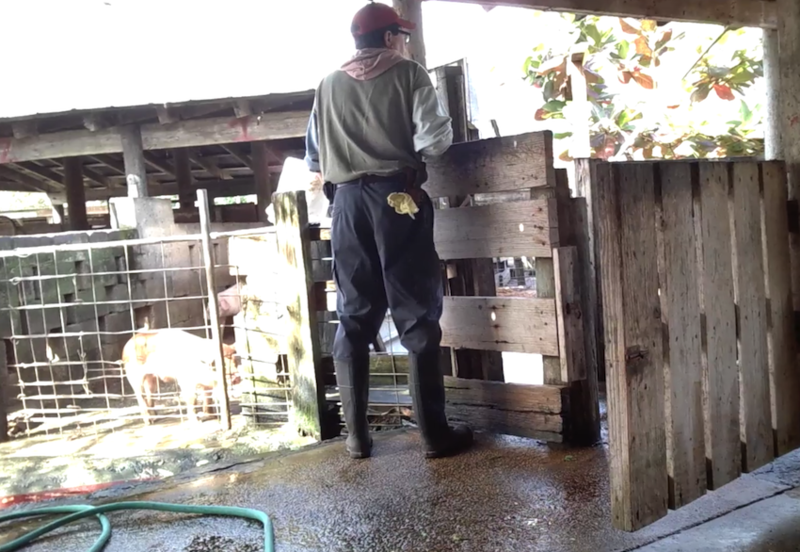 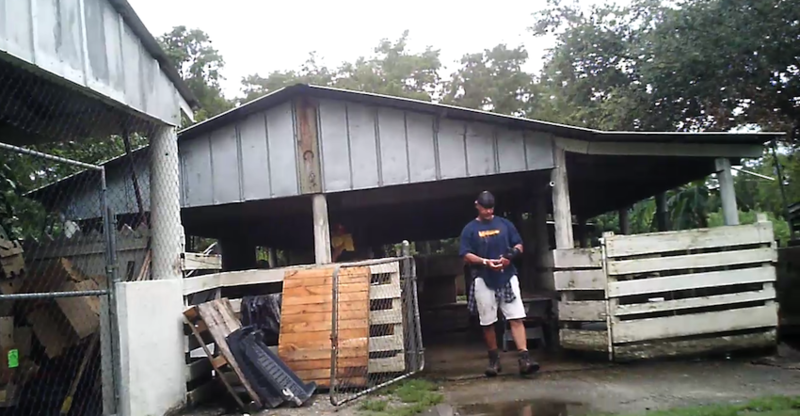 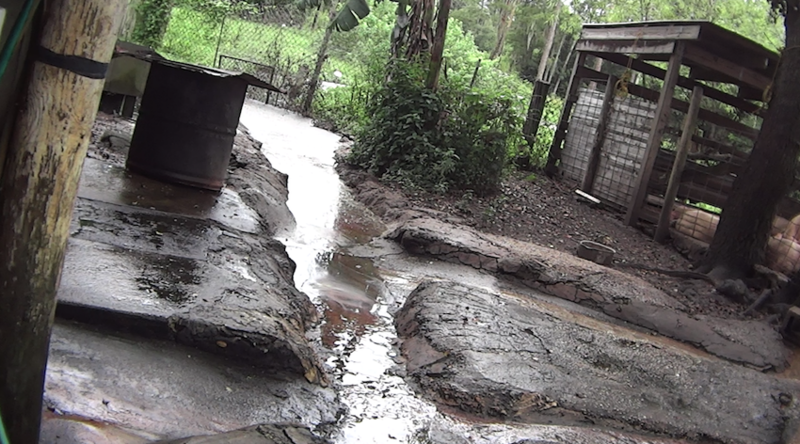 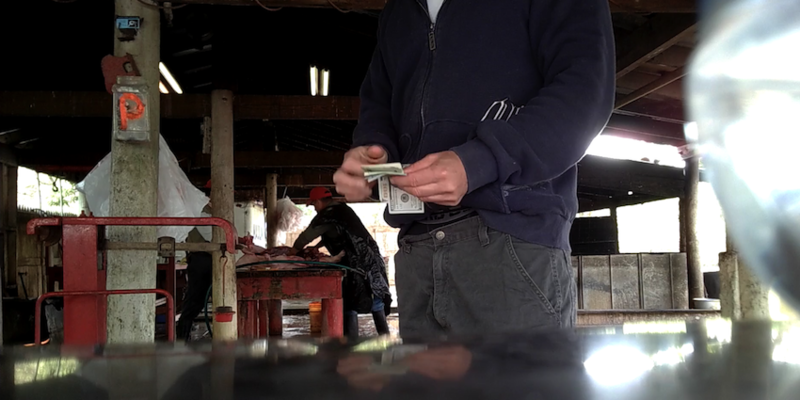 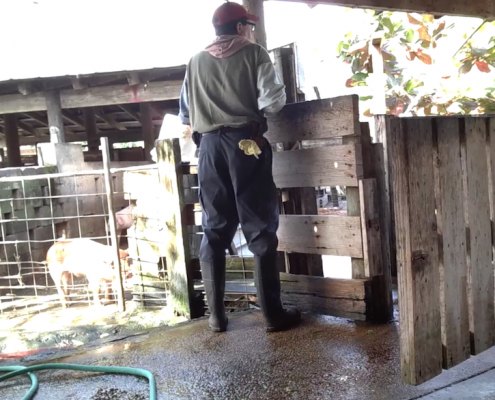 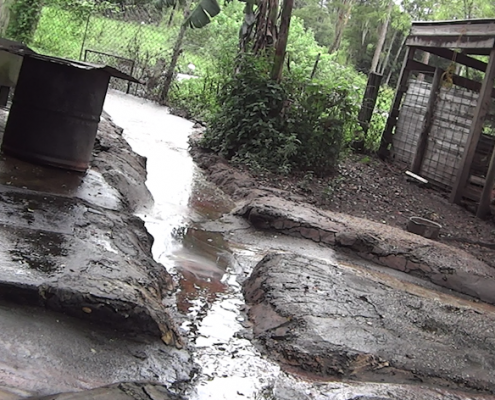 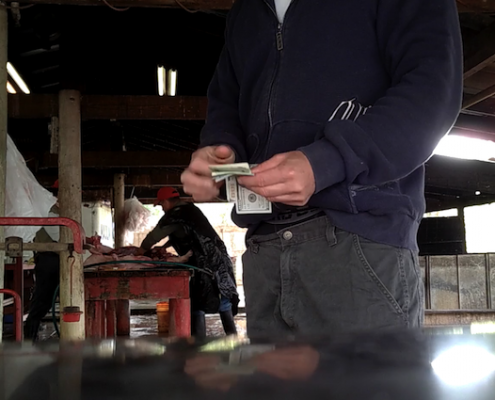 Both the USDA and Florida Department of Agriculture has inspected Rancho Santa Barbara but has never cited or reported the business which they are freely conducting, without a license. 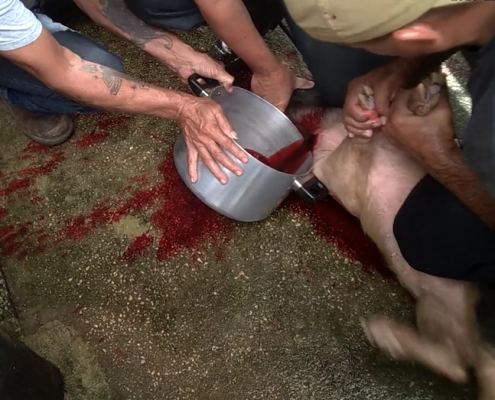 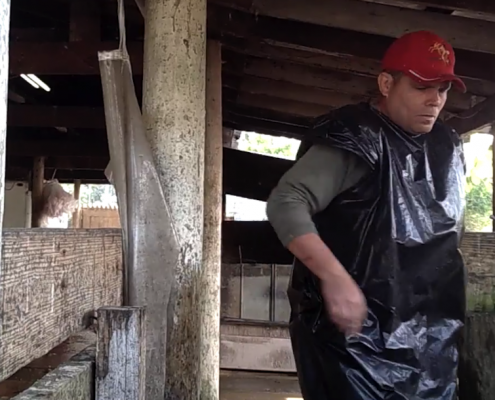 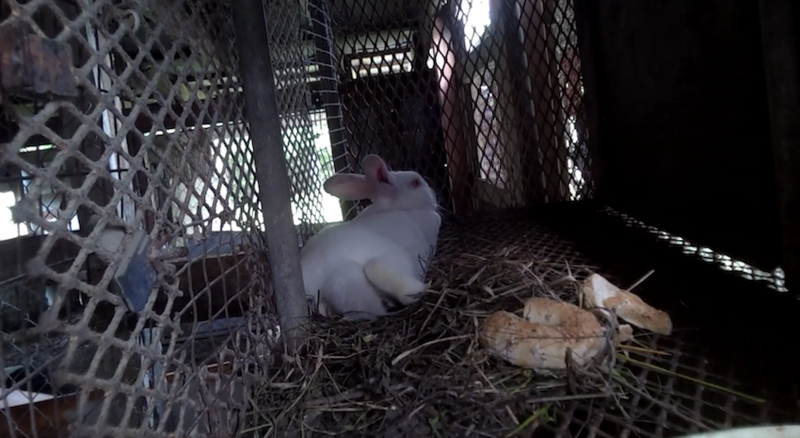 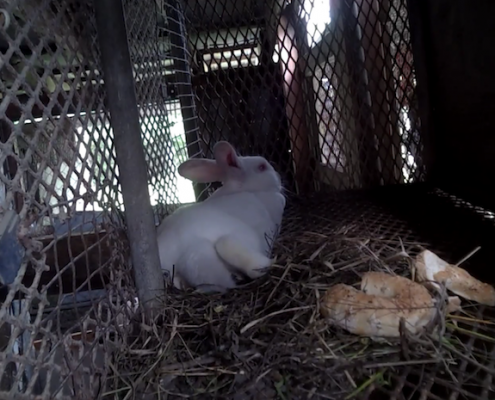 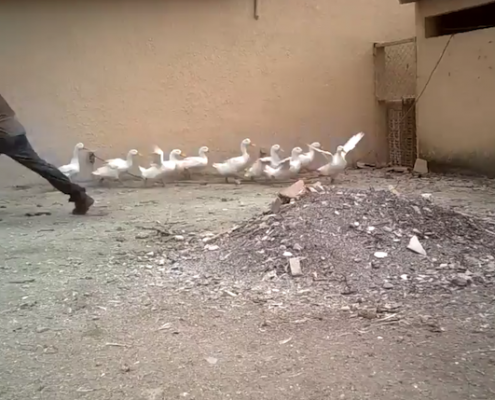 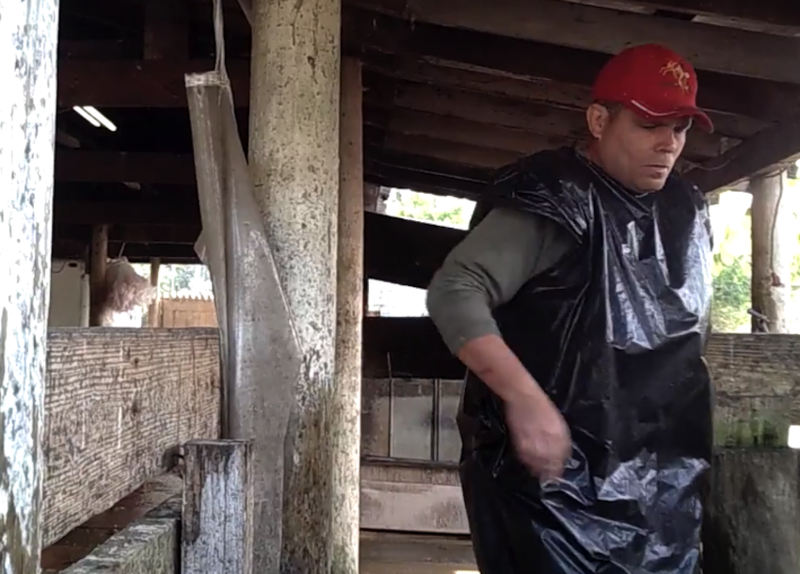 Rancho Santa Barbara has been subjecting animals to torture, abuse, and slaughter for decades. 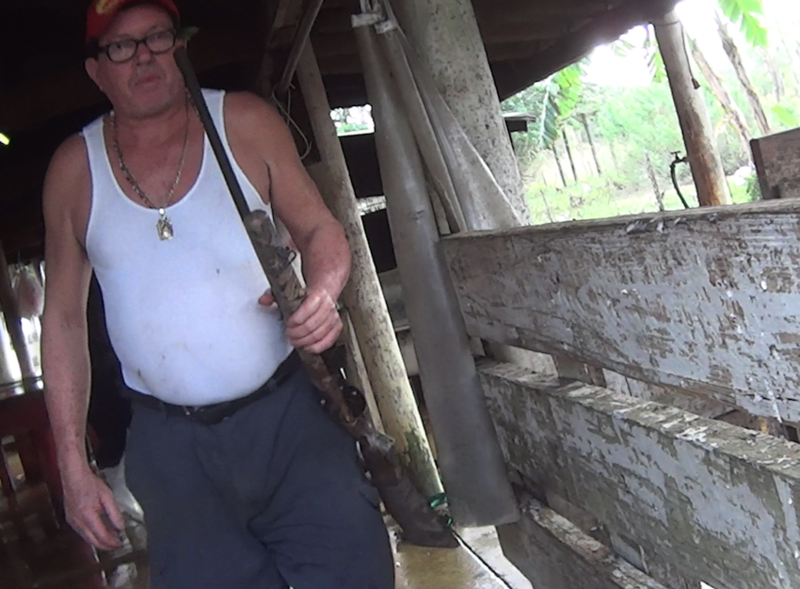 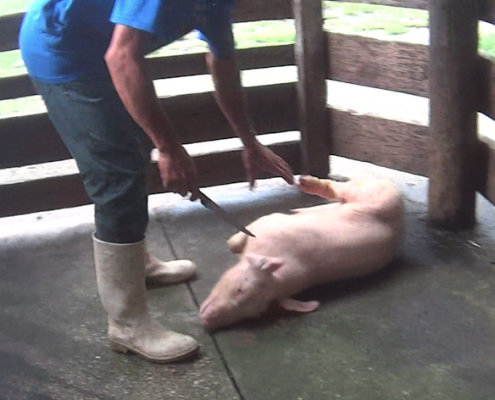 In fact, an ARM operative documented Alex stating that he had been slaughtering animals for at least 18 years. 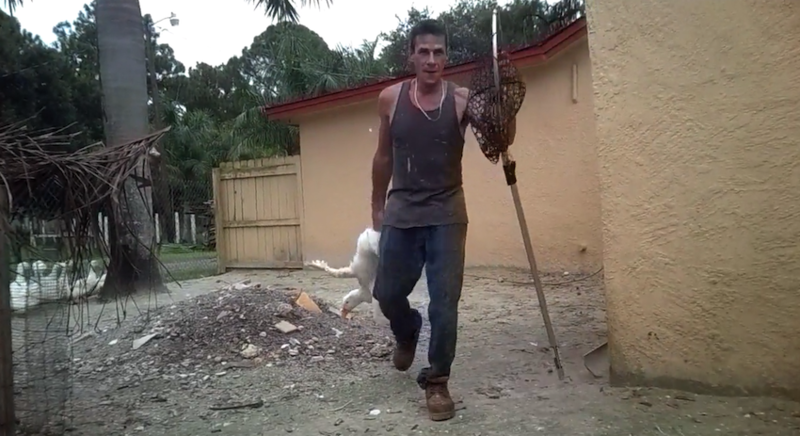 In addition, Alex (Guillermo), previously worked for the Florida Department of Child and Family Services Department, ironically implemented to protect minors. 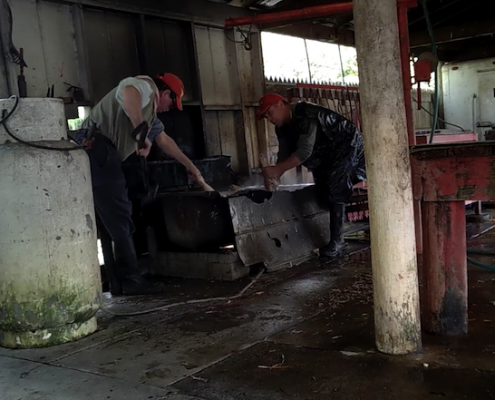 Nonetheless, ARM has documented the presence of minors onsite who have been noted being forced to assist workers and employees while animals are being gruesomely tortured and butchered. 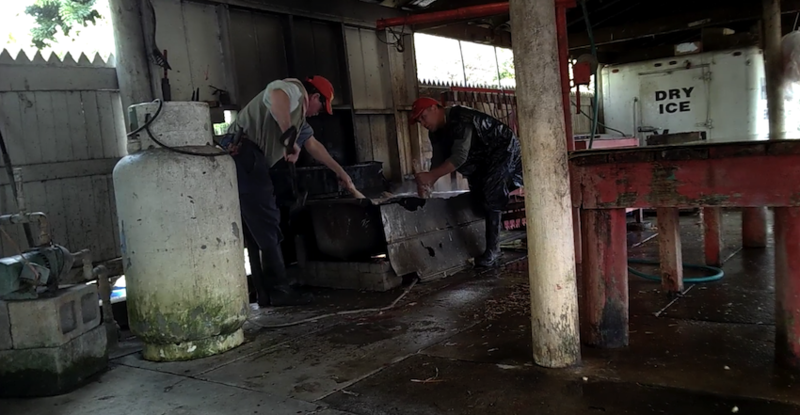 While undercover, ARM operatives documented local grocery stores picking up orders of meat, with the intent to be sold to their consumers. 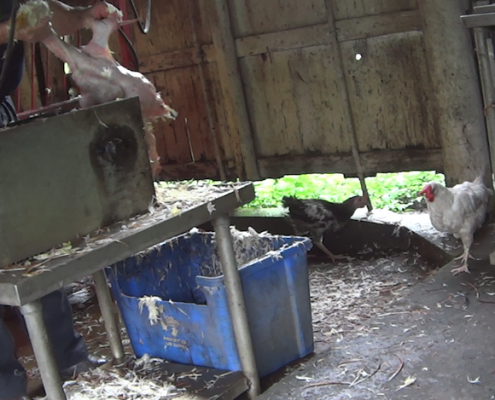 Not only is this an illegal and ethical act, but it poses a serious public health and safety issue. 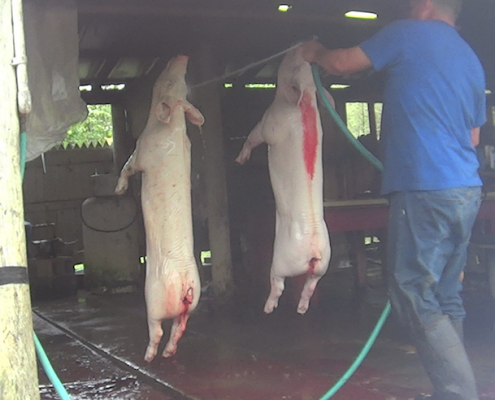 Public consumers buying this meat, are not being made aware that the product that they are consuming is riddled with potential diseases. 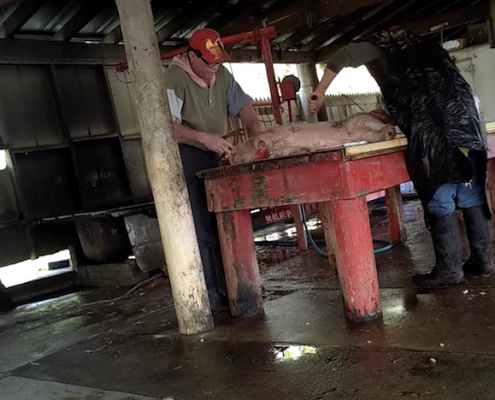 On each occasion, ARM investigators witnessed the animals suffering from illness, severe malnutrition and dehydration and are living in their own excrement. 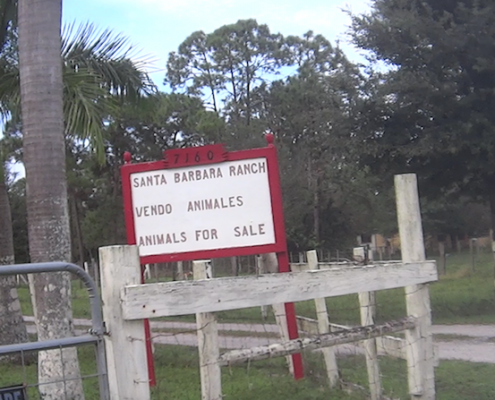 Animal sacrifice trading is also a prominent service provided by Rancho Santa Barbara, where animals are sold for ritualistic ceremonies. 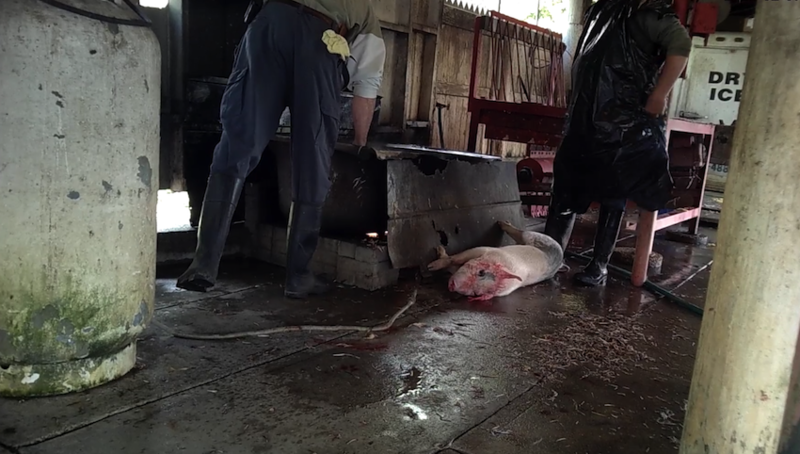 On one occasion, ARM witnessed workers slicing animals throats and draining the animals blood into pots to be used for offerings in these ceremonies. 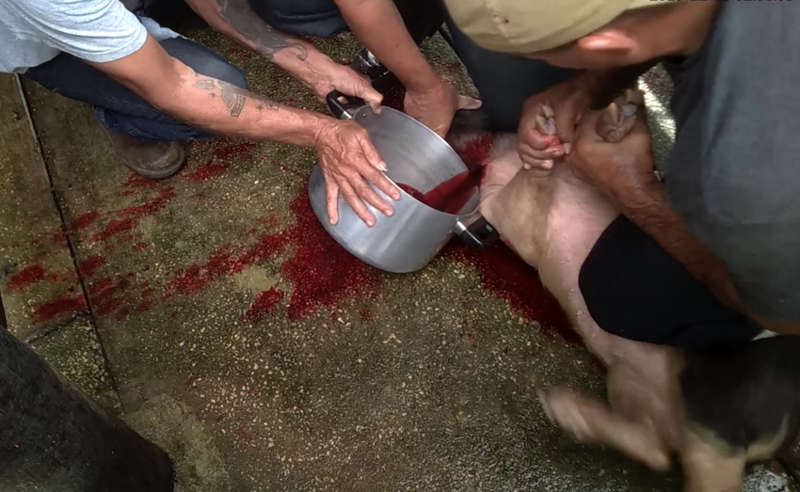 Animals are stabbed in the chest with foot-long kitchen knives and are pinned down as they thrash around in their own blood. 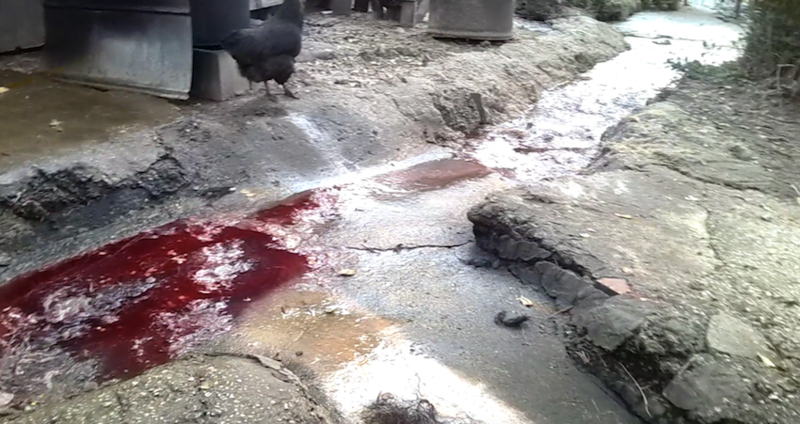 Animals throats are cut and the blood is collected in pots for ritualistic ceremonies. 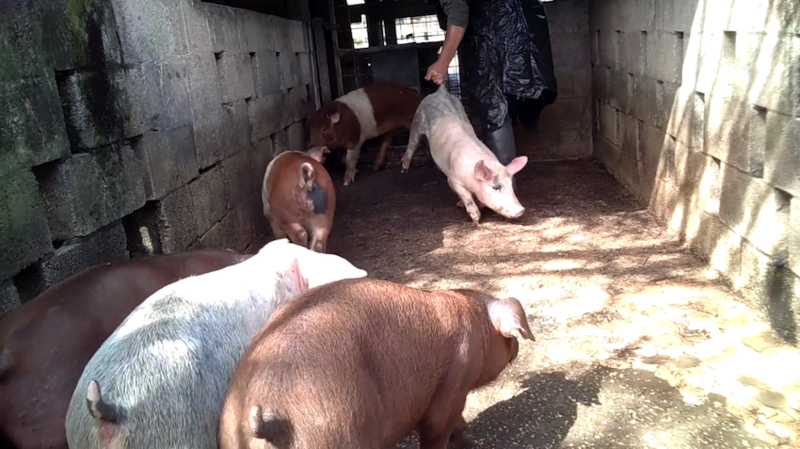 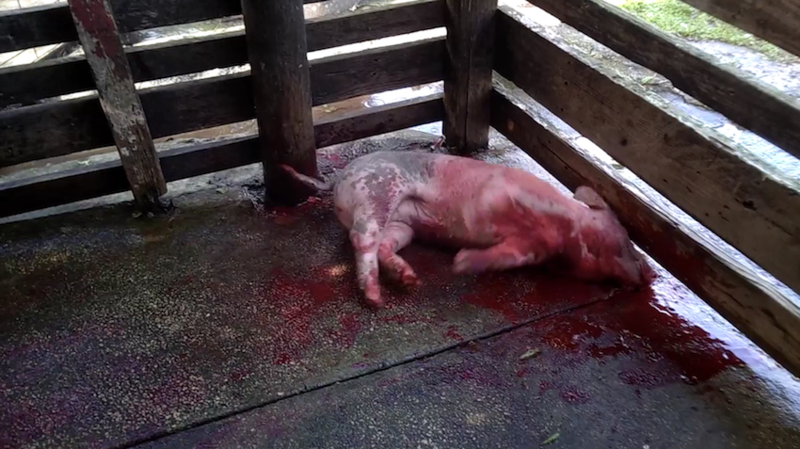 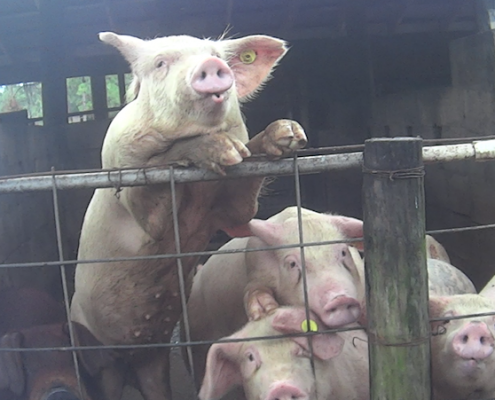 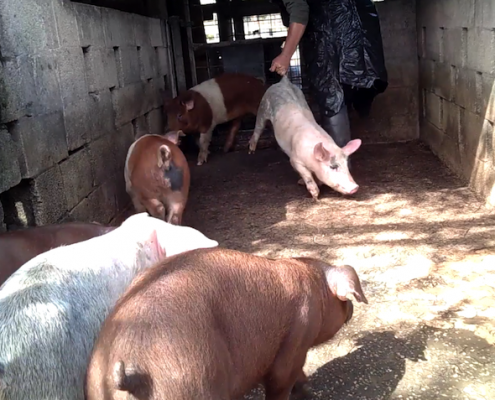 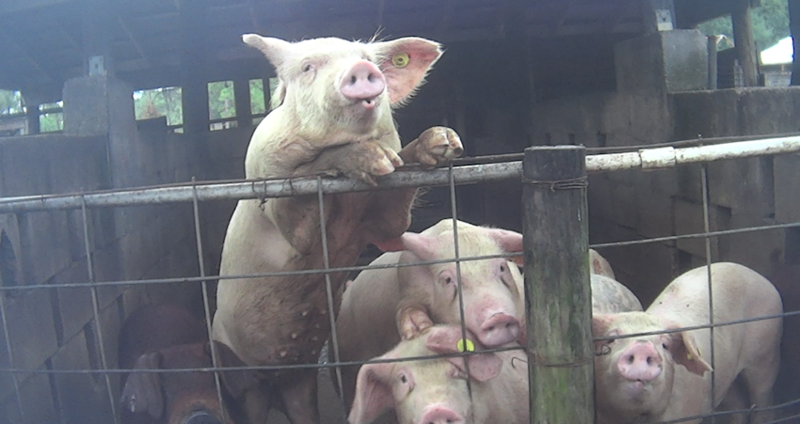 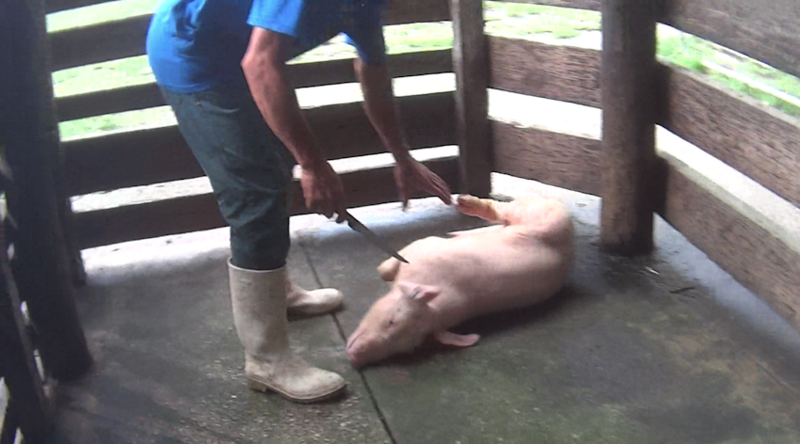 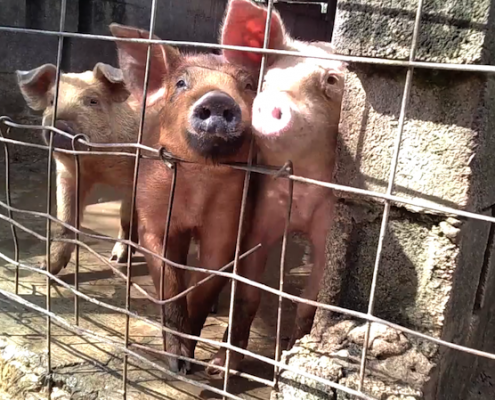 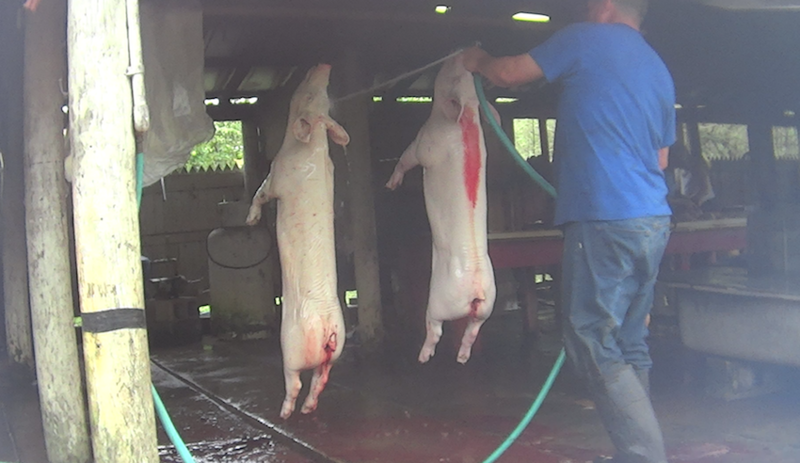 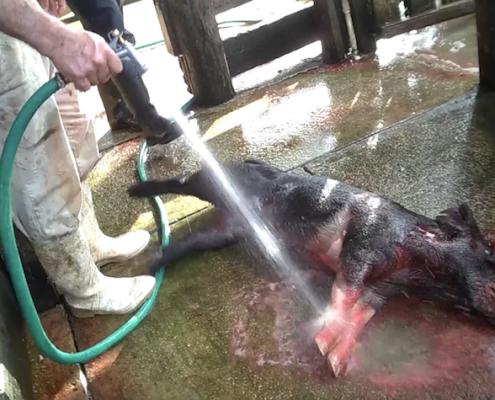 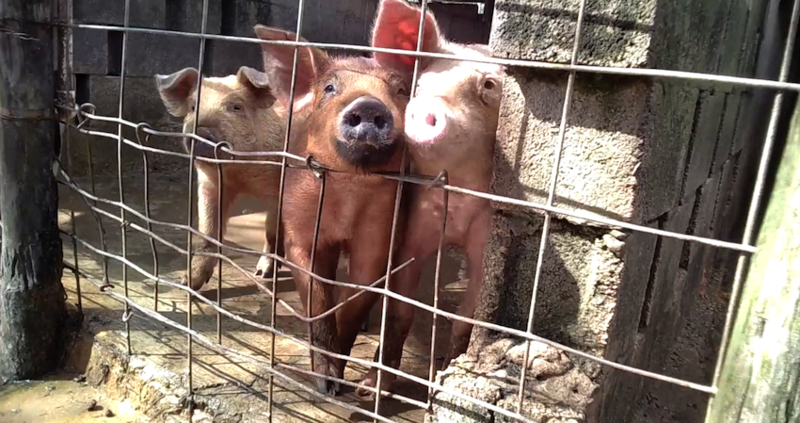 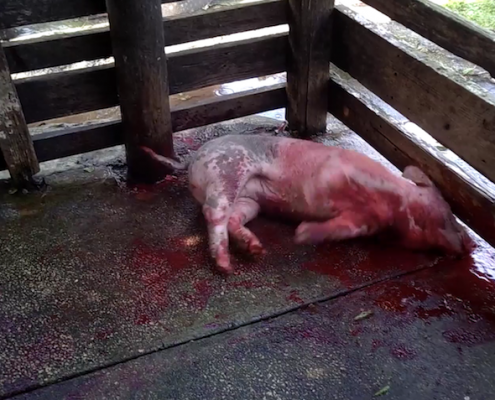 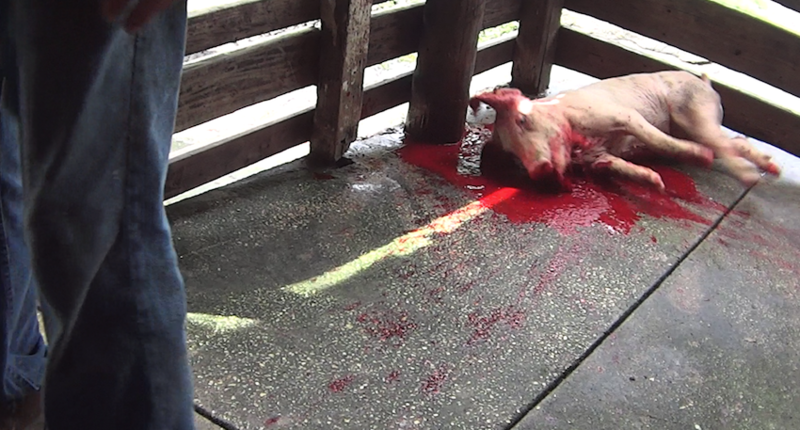 Pigs are dragged inhumanely by their ears, limbs, and tails to the slaughter areas. 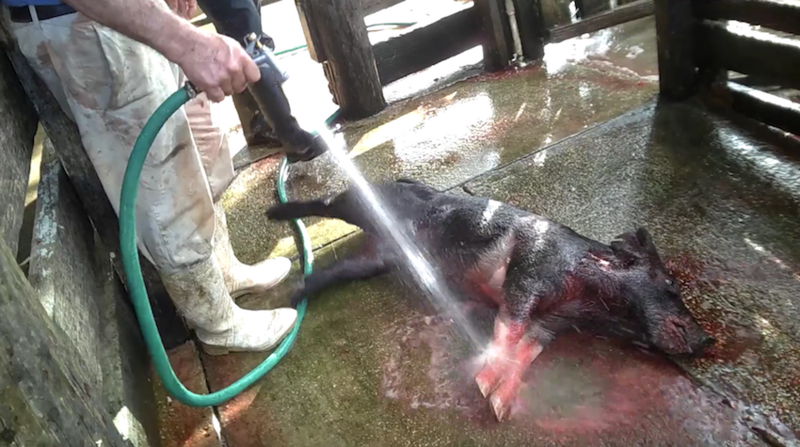 Animals are thrown into vats of boiling water, while still alive. 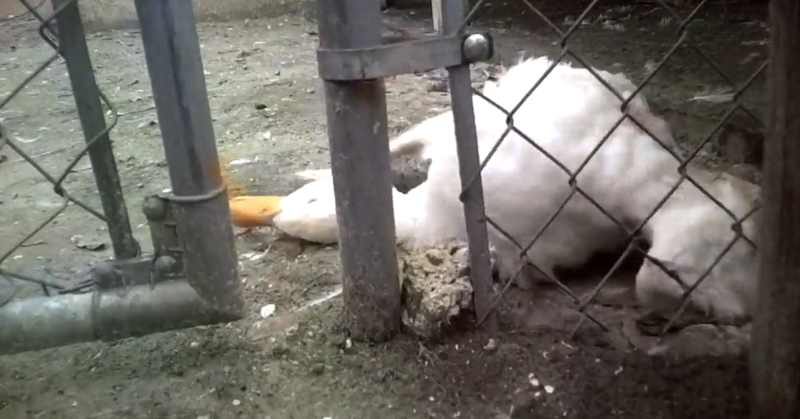 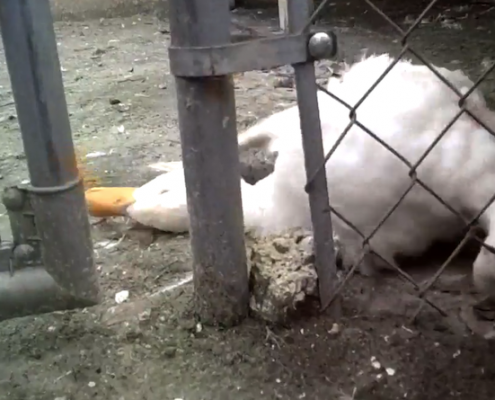 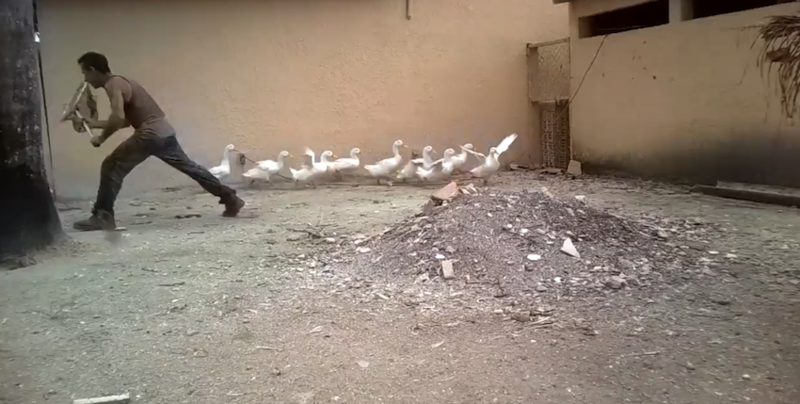 Animals are given little to no food or water and receive no medical attention. 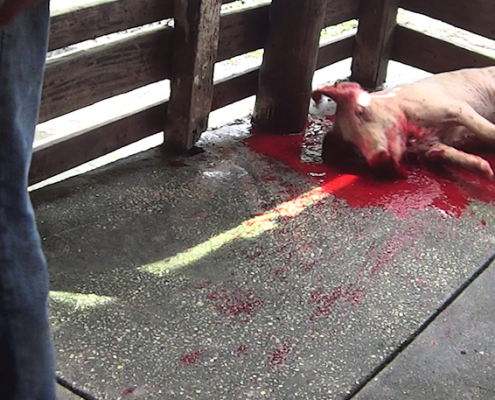 Starving animals have been documented consuming blood and body parts of other slaughtered animals. 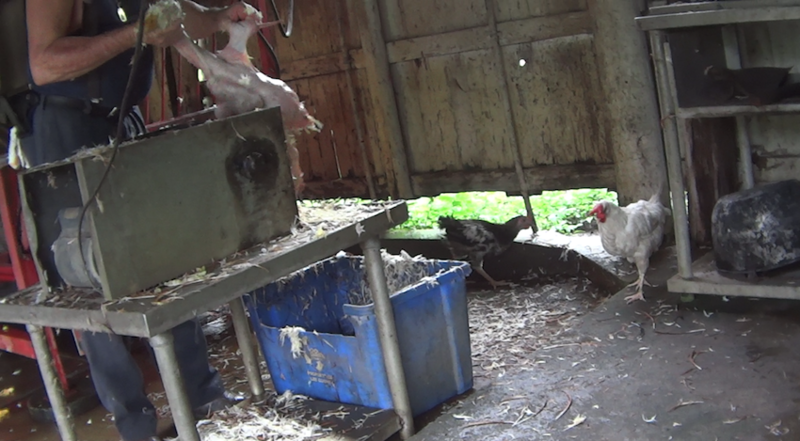 When the birds are to be slaughtered, incompetent butchers incompletely stretch and wrench their necks without killing the animal properly. 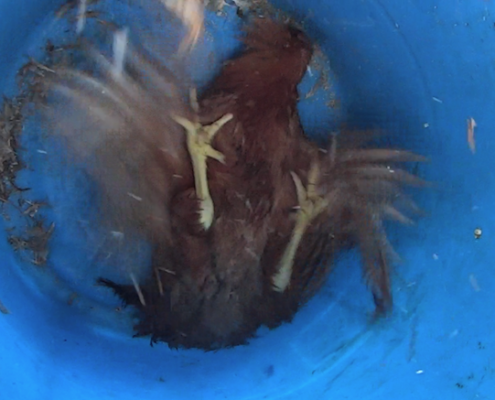 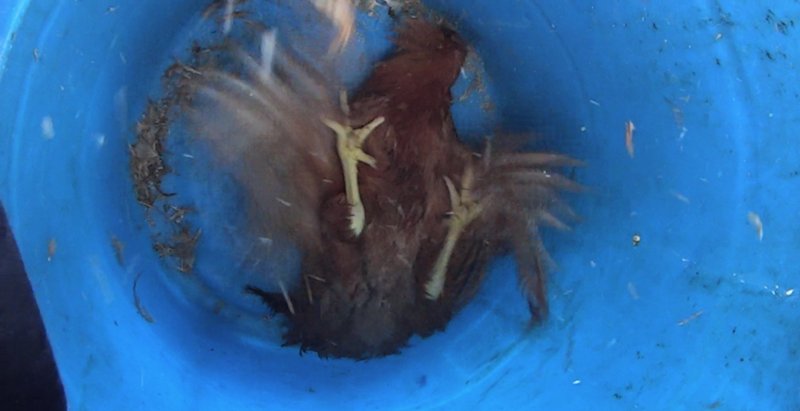 They are dropped into pots of boiling water, while still conscious and alive. 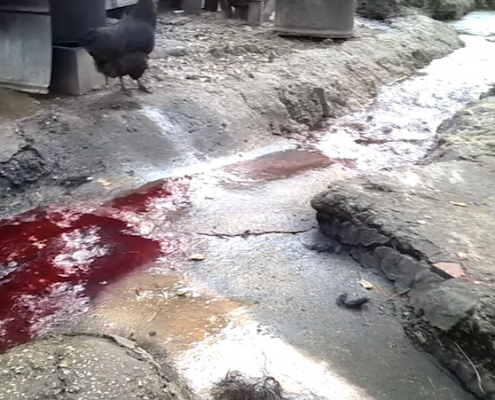 Irrevocable damage to the environment is occurring by allowing bloodstreams from the slaughter area to flow and collect into a pond at the back of the property. 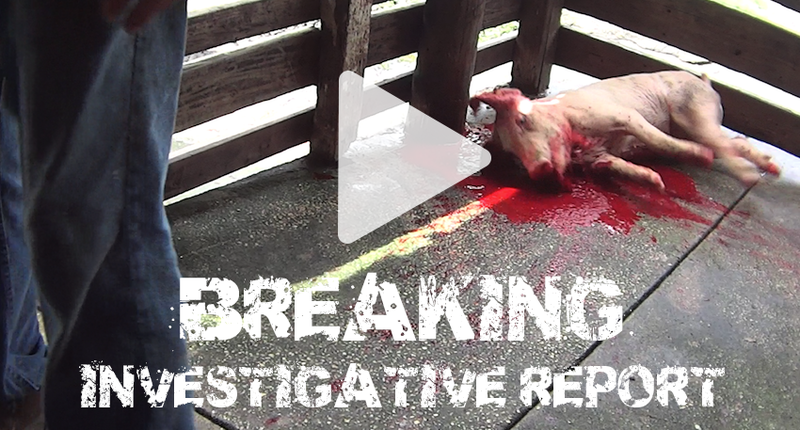 To view ARM’s complete report containing the findings from the Rancho Santa Barbara investigation, click the link here. 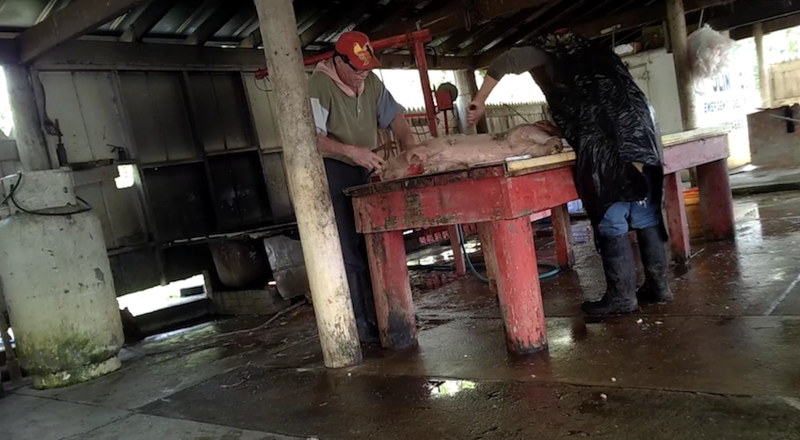 To learn more about the three additional illegal slaughtering investigations in Fort Myers, Florida click on the names below.